GREAT CURB APPEAL, BUT EVEN BETTER VIEW! Step into this nice big light filled living and dining room, featuring laminate flooring which goes throughout most of the home. No carpet here! Your eyes are drawn immediately to the beautiful view out back. The Florida room and screened porch will definitely be your favorite spots to enjoy nature and privacy. Florida room is not counted in square footage, but will probably be the most used room in the house. Kitchen has lots of cabinets and counter space as well as a pantry, French door fridge and cute eating area. Your king sized bed will fit in this master bedroom. Master bath has step-in shower, big vanity and tall commode. Second bath features a tub/shower combo, linen closet and tall commode. The second bedroom is really large. Garage has utility sink for your convenience. This is just a great, easy living, comfortable home. Roof replaced 2013. 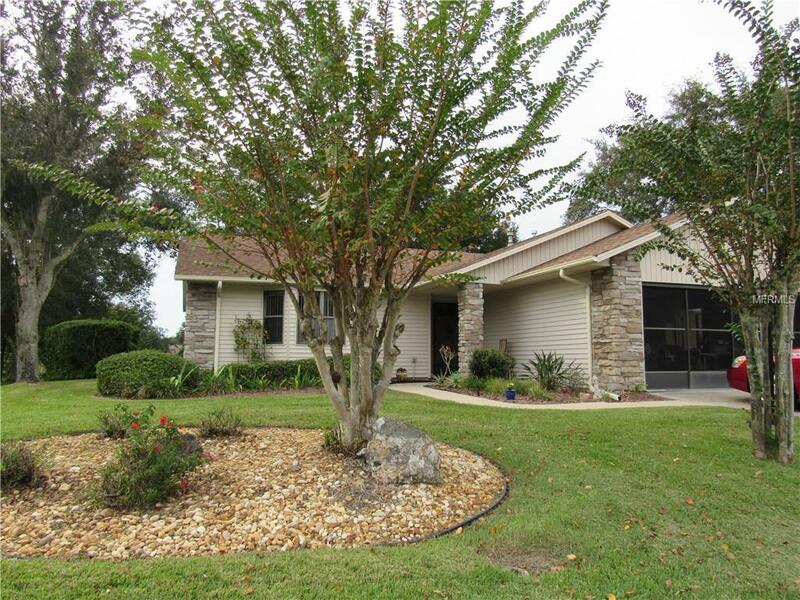 Highland Lakes is a friendly, active, financially sound, gated, 55+ community. You'll enjoy swimming year round in the indoor and outdoor pools. Indoor tennis and pickleball too. Lots of other sports. Clubhouse has an arena with a walking track and is home to many programs and special events. The fitness room, library, billiard room, craft room etc are also in the clubhouse. Too many activities to mention here. Free boat and RV parking. Wonderful craftsman shop. Location is convenient to shopping, restaurants, and major highways and attractions.